Nick Massi (left), Frankie Valli, and Tommy DeVito on-set for ABC television in June, 1967. Massi has an Ampeg Horizontal bass, while DeVito has a Fender Jazzmaster in an Olympic White. Four Seasons, 1967: ABC Photo Archives/Getty Images. This Gibson Thunderbird and a matching Firebird are shown in a scene set in 1967. 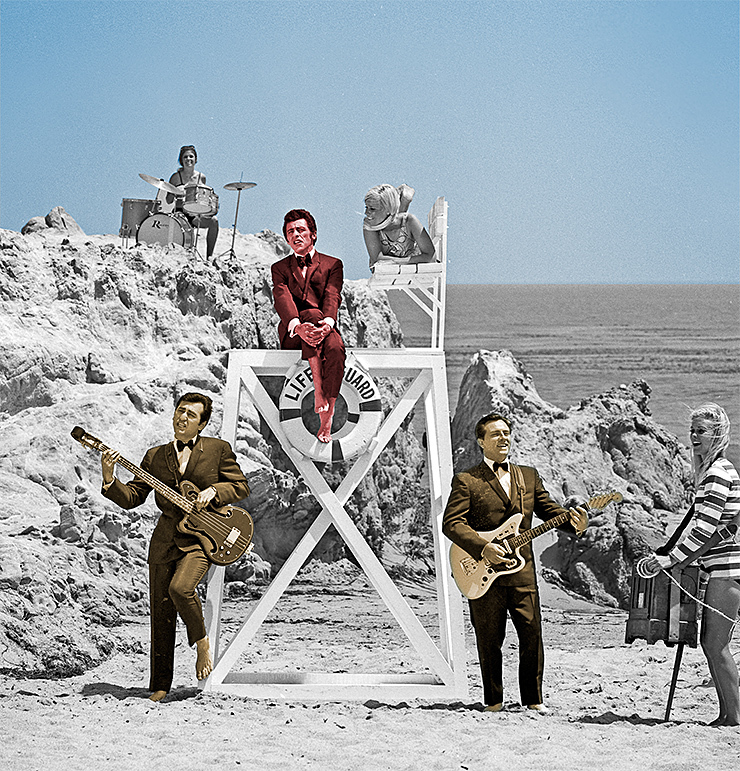 Movies made in the 1950s and ’60s that included rock-and-roll music acts typically showed them performing in segments using their own equipment (Little Richard and others in 1956’s The Girl Can’t Help It), or cast them in fictional stories in which they were usually given some inauthentic guitar (for example, Elvis in 1957’s Jailhouse Rock). From the earliest collaborations involving film and rock and roll, it was obvious Hollywood wasn’t paying attention to the accuracy of instruments. The low point was 1978’s The Buddy Holly Story, made worse because it attempted to tell the story of a real person. And not just any person. The performances, especially Gary Busey’s portrayal of Holly, were inspiring, and they exposed a new generation to Holly’s music. Problem was, instruments used in the film were wildly anachronistic or inappropriate. 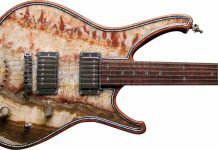 Most looked like they had been bought new in ’78 – there wasn’t a maple neck or a tweed amp to be seen. Holly is portrayed circa 1956 with a ’70s Fender Bronco. When the film’s timeline reaches 1957, he uses a cream-colored ’70s Telecaster with a black pickguard and rosewood neck. Instead of duplicating Buddy’s iconic ’55 maple-neck Stratocaster for the scene of his last concert on February 2, 1959, a new-in-’78 model was chosen, with a rosewood fingerboard and large headstock. Ouch! Dave Edmonds, who played Eddie Cochran, gave a great performance using a vintage Gretsch, but alas, it was a Roundup, not a 6120 model like Cochran played. Edmonds’ on-camera bass player got close to a ’50s look using a late-’60s Telecaster Bass. There were two vintage amps used in the film, neither period-correct. Edmonds/Cochran used a blond ’61 Fender Twin with oxblood grillecloth, which magically appeared later in the closing scene in Clear Lake, Iowa, but without Cochran. Also in the Cochran sequence was a blond Fender Bassman piggyback with oxblood grillecloth, circa ’61 – two years after Holly died. Busey/Buddy was seen throughout the film with what appears to be a mid-’70s Music Man 210 combo re-covered in a Fender-like blond Tolex with a raised-letter Fender logo slapped on its silver grillecloth. Why were these instruments so wrong? In the late 1970s – an era of cheaply made independent movies – the budget for The Buddy Holly Story was so small its makers felt lucky to get anything in front of the camera. Perhaps more importantly, the “must get it right” aesthetic had not yet developed. Especially compared to the present day, research at the time was virtually nonexistent, and though the market for vintage instruments existed in 1978, it likely never occurred to anyone that the details of these instruments might have changed significantly since the late ’50s. The upside, of course, is that blowback raised awareness of the work to be done if vintage musical instruments were going to be portrayed accurately in films. In the 35 years since The Buddy Holly Story, as audiences have become more discerning, the accuracy of instruments in movies has gotten better. Today, when those responsible for the look of a film – propmasters, set decorators, and production designers – begin production, they start by looking at the script, which leads to discussions about the needs of the show, often including a prop house – a company that maintains a warehouse of items including musical instruments. Whether matching the instruments of artists such as Joan Jett and Lita Ford in The Runaways, or a representative band like the Oneders/Wonders in That Thing You Do, the first step is research. On rare occasions, such as with What’s Love Got To Do With It, researchers were given access to Tina Turner’s personal photos. In recent years, the internet has become a great resource for viewing archival performances. When making a period movie, there are tons of considerations for the selection of any prop. The first for selecting an instrument is, obviously, did the instrument exist at the time the scene is set? Then, is it right for the musician(s) and the situation? Is it the same instrument the real person played? Often, in films, the timeline – for dramatic or practical reasons – won’t line up exactly with actual events. This is normal, and when it happens, filmmakers go with the date in the script because the movie must first make sense to itself. This is especially important, as one of the secondary functions of a prop or piece of set dressing is to show the passage of time, usually through aging the piece or changing it to a different model. 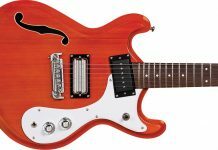 A change to a different guitar can indicate changing circumstances – moving up in life, a character might go from a Gibson Les Paul Junior to a double-bound Rickenbacker 360/12, as with Jimmy in That Thing You Do. If the character falls on hard times, seeing them go from, say, a Gibson ES-355 to a Silvertone solidbody tells another tale, without dialogue. Another consideration, especially with instruments in films, is making sure the movie doesn’t look like a promotional piece for a particular manufacturer. This can happen when too many scenes show the same brand. 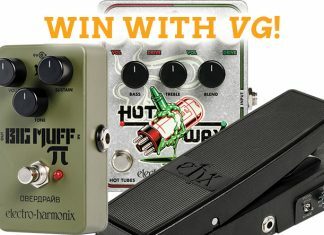 To prevent this, again using reality as a starting point, other brands of guitars or amps are introduced in some scenes. Taking into account the research, the script, and the cinematic needs, the propmaster and set decorator will usually work with a prop house to prep instruments. 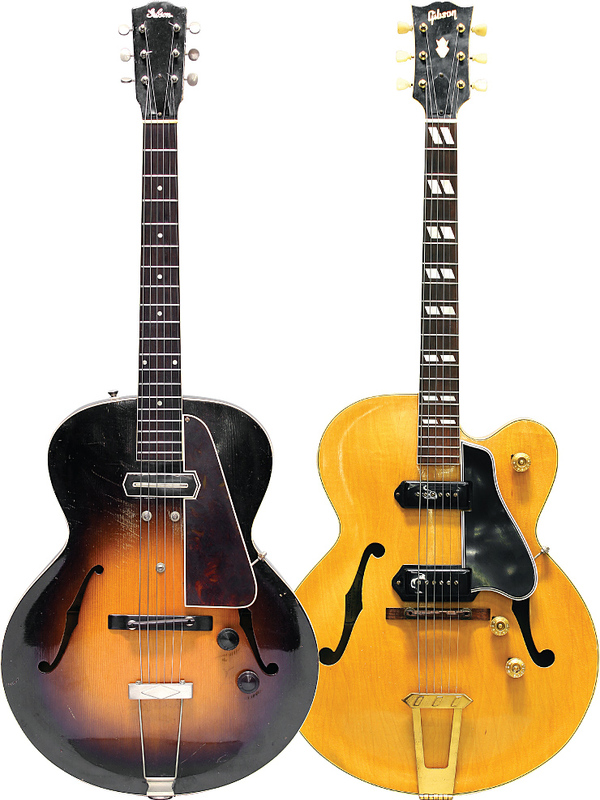 These Gibson ES-150 and ES-350CN models were used by actors portraying two replacement guitarists hired by The Four Seasons in the ’50s. In mid 2013, propmaster Mike Sexton was hired to provide instruments for Jersey Boys, a film version of the musical play on Broadway that tells the story of Frankie Valli and the Four Seasons from their beginnings in 1951 through their induction to the Rock and Roll Hall of Fame in 1990. Using the script as the guide, Sexton compiled a spreadsheet that listed the date each scene took place, the venue, the songs, who was in the scene, as well guitars, amps, drums, keyboards, mics, PA, etc. that appeared. Many scenes needed instruments, including those shot in 14 live venues (from a small New Jersey dive bar to the Rock Hall of Fame concert). The film also portrays five recording studio sessions from 1961 to ’75, plus appearances on “American Bandstand” and “The Ed Sullivan Show,” all seen through 13 time periods. Early on, director Clint Eastwood decided to give the movie more life by having the actors playing Frankie and the Four Seasons sing live on-camera during the filming, while studio musicians accompanied them in another room. This was done on all songs, and to great effect. In the event of a close-up, guitars and basses in scenes set in the ’50s and early ’60s were fitted with flatwound strings. When needed, guitars and basses were put in appropriate “on-camera” cases. Shooting out of sequence adds another level of difficulty. Instruments could appear in consecutive scenes that are shot weeks apart, and allowing things to not match from one shot to the next – “breaking continuity” – is not a good thing. The earliest music scenes were set in a dive bar. Research showed the group playing butterscotch-bodied/black-pickguard Fenders during this period, so lead guitarist Tommy DeVito’s character was assigned a Broadcaster, while a Telecaster went to his brother, Nick, and a matching first-generation Precision Bass went to the actor portraying Nick Massi. The pickguards were cosmetically correct glossy Bakelite, and the prop house made several early/wide Fender-style straps. The back line got a TV-front Bassman and two TV-front Pro amps – all in newish condition. In 1952, when Massi went to jail, his absence needed to be obvious, and to match the music being played, Sexton needed his replacement to have a noticeably different electric bass. The problem was that in 1952 there were very few other choices. The solution? Another slab-bodied Fender, but with a black body, white pickguard, and a maple neck much like the pre-production Leo Fender prototypes. The bridge cover was even mounted upside-down (as was often done at the time) to further vary its look. 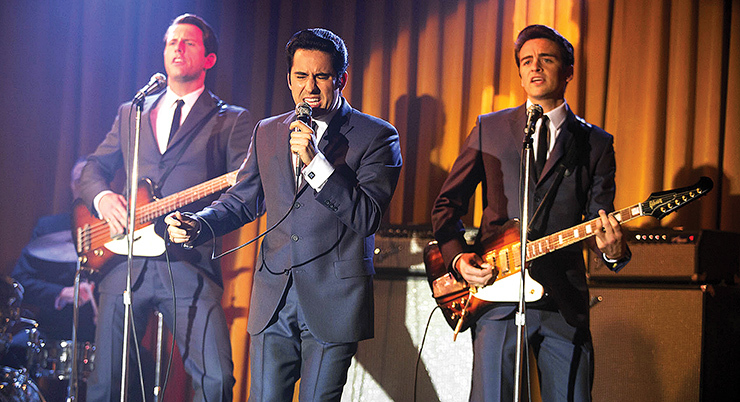 Matching Gibsons on the set of Jersey Boys, with Michael Lomenda portraying Nick Massi (left), John Lloyd Young as Frankie Valli, and Vincent Piazza as Tommy DeVito. 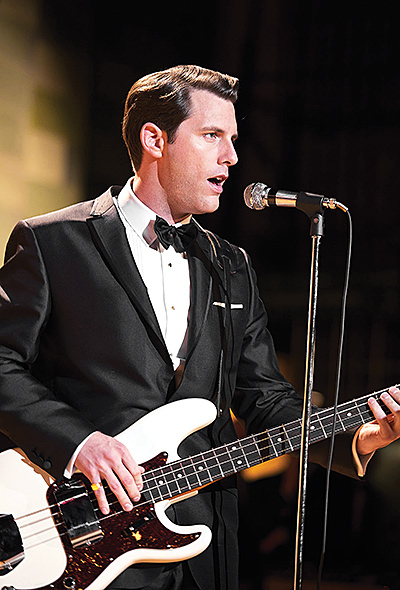 Jersey Boys production images: Keith Bernstein, courtesy of Warner Bros.
Michael Lomenda as Nick Massi, with a Fender Precision in Olympic White. As the film moved through the ’50s, two guitar players subbed for Nick DeVito, who was also “otherwise detained.” The first played a Gibson ES-150 into a Gibson BR-4 amp, while Hank (the second replacement) played a Gibson ES-350CN with a pair of P-90 pickups through a Gibson GA-77. 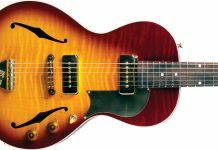 The blond guitar was similar to one seen in the research, and with no research on the other guitar, an older Gibson ES-150 the character had likely bought used, was a logical choice. 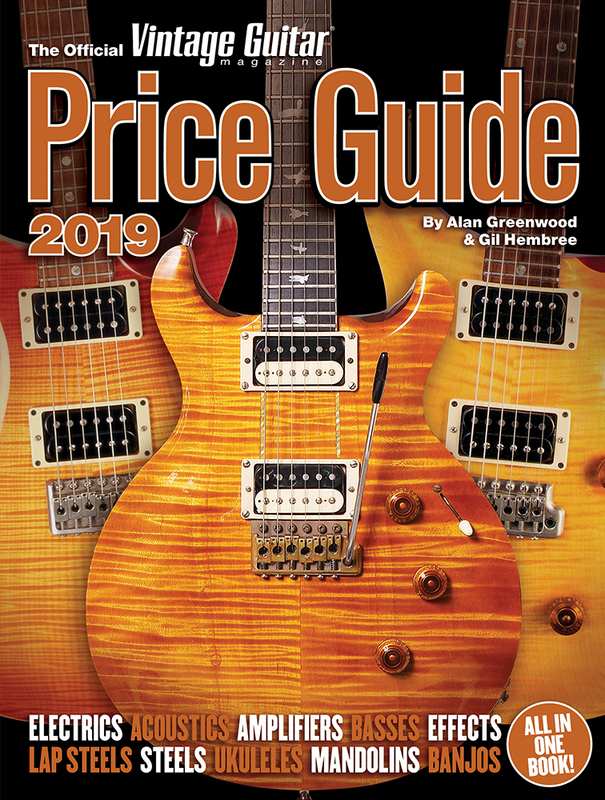 There are two basic ways to show a guitar player hasn’t yet hit the big time – play an inexpensive new guitar or an older/used, but better-quality instrument. Using Gibson amps for these two characters was a conscious effort to share the branding. In all, eight brands of amps were used. By 1958, Tommy DeVito had changed to a cream-colored mid-’50s Telecaster with a white pickguard. In a scene shortly after that period, with the amps left behind, the band is seen hitchhiking with guitars and suitcases. When next portrayed at a club in ’58, DeVito’s Telecaster was plugged into a newly acquired wide-panel tweed Pro, while Massi was playing his ’55 two-tone sunburst Precision Bass into a narrow-panel tweed Bassman. These amps were selected based on what would have been available at the time and was different from the bands’ earlier TV-front amps. When next seen on-screen, the band is in Allegro Recording Studios in ’61. Thinking they were going to sing and play on their own records, the Seasons were told they were there as backup singers. So, a new selection of instruments was sent to Sexton for the actors playing the East-Coast session cats, including a sunburst/maple-neck Strat with a white pickguard (the actual guitar was previously used by Jimmie Vaughan in Great Balls of Fire), a blond dot-neck Gibson ES-335, a Gibson EB-2, and a black Danelectro six-string bass. Amps were an Ampeg Gemini I and a Noble Peerless model; Ampeg was often the amp of choice on the East Coast in the ’60s, and was seen in much of the research of The Four Seasons’ recording sessions. The Noble was sent to break up the look. 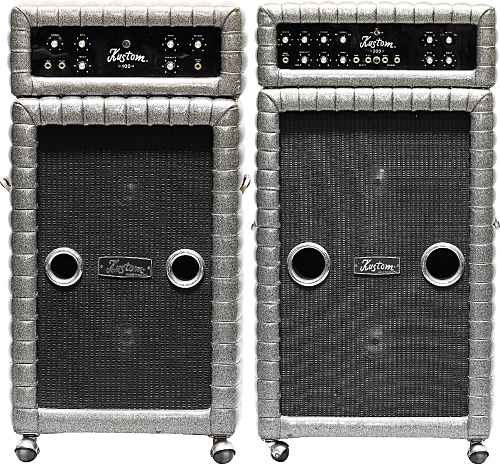 Two of the silver-sparkle Kustom amps from a scene set in 1970. Instrument images courtesy of Jim Elyea. The guitars for the group’s next scene, at an upscale club, were influenced by another department – this time, choreography, which had developed moves where Massi and DeVito would swing matching guitars. It was decided that was not the place to introduce the red ES-355. Instead, a matching black Stratocaster and Precision Bass were chosen, both with rosewood fingerboards and white pickguards. For the stunt, the prop house designed and made vintage-looking, heavy duty strap locks and straps that would allow the instruments to spin easier. Back in the studio in ’63, DeVito finally got to use the ES-355. 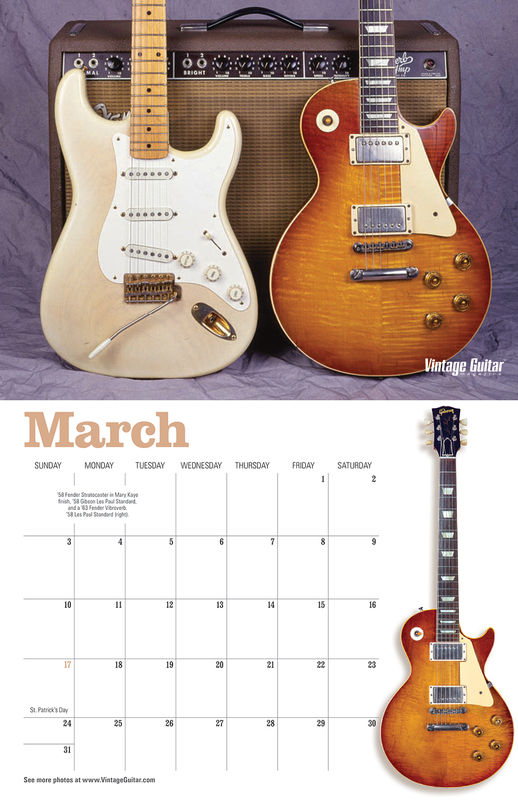 To imply the passage of time, his amp was updated to a blond Fender Bandmaster with oxblood grillecloth, while Massi played his early-’60s sunburst Precision with a rosewood fingerboard and tortoiseshell pickguard into a blond Bassman amp that matched DeVito’s. Both were restored to look almost new. In ’65, the group performed at the Ohio State Fair; DeVito still had his cherry 355, Massi his Precision. As before, both used the old-style thin leather straps. 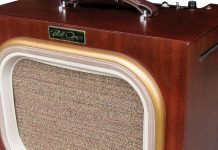 Amplifiers were a new blackface Fender Bandmaster and Bassman, with the speaker cabinets placed horizontally. Interestingly, these were the very amps used on That Thing You Do, in the scene when the Wonders appeared on television. As the movie reached 1966, The Four Seasons appeared on “The Ed Sullivan Show.” In researching this scene, original color footage was located in order to match. 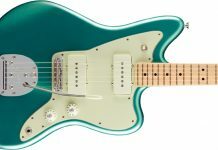 DeVito sported an Olympic White Fender Jazzmaster with a tortoiseshell pickguard, and Massi had a matching Precision Bass. In prop work, the little things matter, so the guitar straps for this scene were the wide, embroidered-cloth style which were becoming popular in that era. The amps were the same blackface Bandmaster and Bassman from the Ohio State Fair scene, but set vertically, as many players did at the time. The fair and Sullivan scenes were next to each other in the script, so changing the orientation of the amplifiers helped show the passage of time. For a live-show scene set in ’67, the band was outfitted with the then-new Fender Bandmaster and Bassman amps with larger speaker cabs. Sexton wanted a Gibson Firebird guitar and Thunderbird bass like those seen in much of the research and were widely identified as belonging to the Four Seasons. The instruments were made ready, but every time they were scheduled to appear on camera, some consideration bumped them out of the scene. 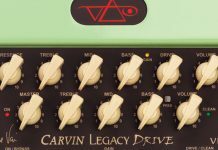 As Sexton began to think there might not be a spot for them, he decided to work them into the same ’67 live-show scene as the big-cab Fender amps. In 1967, with DeVito and Massi out of the band, Valli and their replacements returned to Allegro Recording Studios. The on-camera session players backing them used a late-’60s black Stratocaster with a large headstock, a sunburst Les Paul Standard, and a faded Gibson EB-3. Selecting the instruments for the scene, it was important to not only depict the look of the era, but make it obvious these guys were not the same Four Seasons. To further that idea, guitar players used combo amps – a blackface Fender Twin Reverb and blackface Super Reverb. By layering cinematic needs onto good research, this differentiated them from the original Seasons, who, in this film, did not use combo amps after leaving the tweed era. Meanwhile, the new bass player used an Ampeg B-15 – a recording-studio staple through much of the ’60s, it was seen in the research, and as a bonus, was different from anything used by any other bass player in the movie. Generally, the idea in films is to duplicate the research as closely as possible. Invariably, though, there are scenes where no specific research exists, so the propmaster can have a little fun. One scene, at a big nightclub in 1970, originally used red tuck-and-roll Kustom amplifiers. 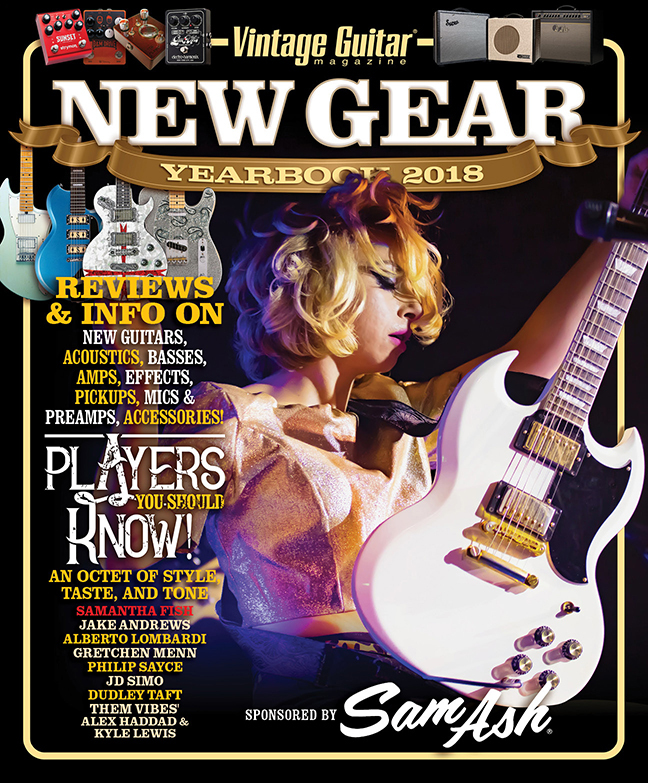 Right for the period – flashy and just plain cool – the amps were lined up and ready to go, when the prop house happened to buy a Kustom organ in silver-sparkle. Given the option, Sexton opted to use the organ, flanked by a backline of matching silver-sparkle Kustom amps and topped off with a silver-sparkle Ludwig drum set, congas, and bongos. Guitars were a light-green Gretsch Anniversary and a black Les Paul Custom. It was around this time that straight guitar cords were replaced with coiled cords. 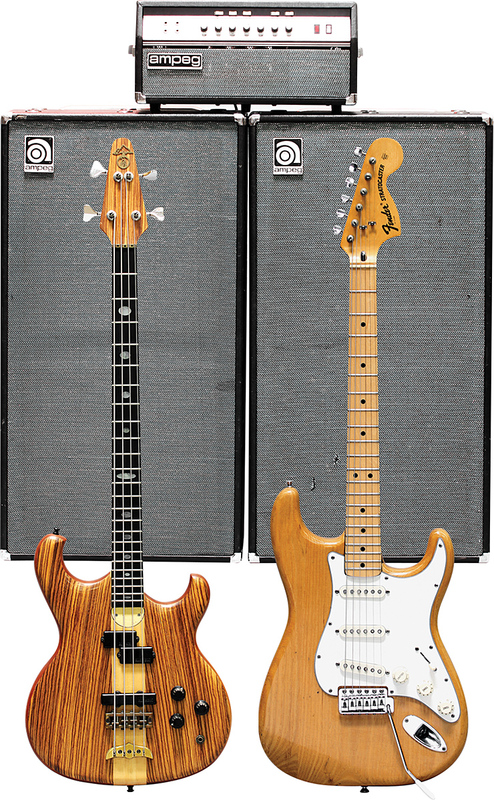 The mid-’70s Fender Strat, Alembic bass, and Ampeg SVT used to help portray the Seasons in their 1975 work at Mirror Studios. In 1975, Valli and the new Seasons moved to Mirror Recording Studios. There, his guitarists played a natural-finish mid-’70s Strat and a black Les Paul Custom, while the bass player used a koa Alembic with an ebony neck. Keeping with the cinematic choice of combo amps for the studio, and once again needing to show the passage of time, a silverface Fender Super Reverb and Deluxe Reverb were used. The bassist got a nice, early Ampeg SVT amp with a single cabinet. Also in 1975, the group appeared at a fancy club in Detroit, and for this, Sexton wanted the look seen in European concert footage of the Four Seasons, so he went with similar big amps. The prop house restored two CBS-era silverface Fender Bandmaster Reverbs and a matching silverface Bassman. Finally, the script reached 1990 and the induction ceremony for the Rock and Roll Hall of Fame. Research determined who was onstage for the big jam, and what they were playing. Eventually, though, it was decided that when Valli and the original members reunited to perform, rather than mimic all the people who had been onstage, they would go with the look of a generic house band circa 1990, with an homage to the real event. Research indicated that Bruce Springsteen and John Fogerty were onstage playing black Stratocasters, so one was sent for the on-camera house band. The original footage also showed a pre-CBS sunburst Telecaster, so that became the second guitar. A black Music Man bass, again inspired by research, was chosen, and for the backline, a pair of black-grille Marshall JTM 800 half-stacks, a ’64 Vox AC30, and a Gallien Kruger 400B bass amp. In prop work, a “back story” often helps decide which instruments to give a character. For DeVito’s scene at the Rock Hall induction concert, the thought was that because he had long since left the music business, he likely would have borrowed a guitar – perhaps one from someone else onstage, like a well-worn early-’60s sunburst Strat. Massi, meanwhile, used a Rickenbacker import bass in Fireglo, the rationale being he could have bought it used in the ’80s. And just as importantly, it once again added a different brand and model to break things up. Of course, as often happens with films, on the day of shooting, higher-ups decided the Four Seasons would just sing – no instruments. So, the instruments stayed in their cases. Sexton and his crew were ready, just in case, and the Rick was able to make it into a scene added at the last minute. In addition to all these instruments, Sexton also kept handy several additional Strats and acoustic guitars, including a ’54 Gibson J-200 in sunburst, to have for quick, unexpected placement in a scene. All told, 34 guitars, 22 basses, 43 amplifiers, eight keyboards, 18 drum sets, and more than 80 microphones appear in Jersey Boys. Just as important, a high percentage of the design team’s pre-planning made it onscreen. The TV-front Fender amps help the film portray The Four Seasons in 1951. 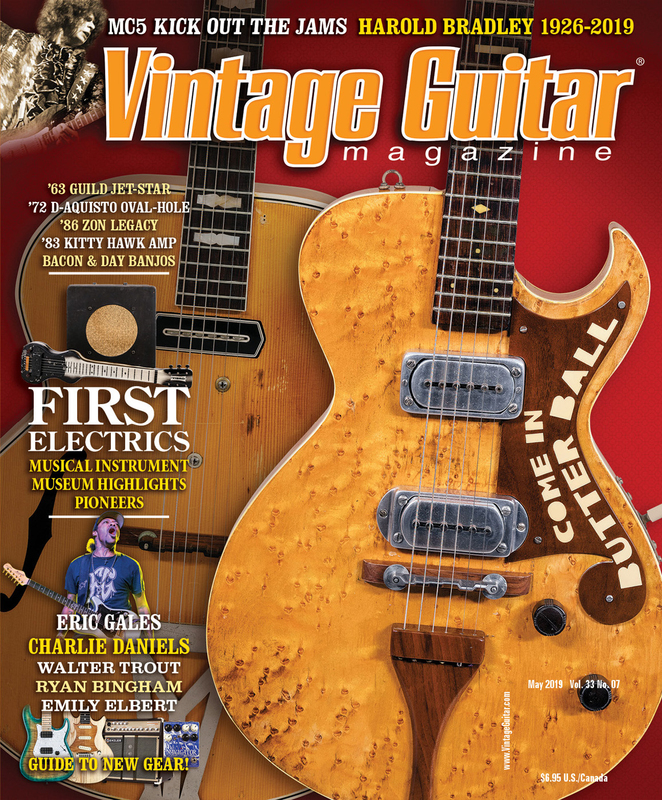 Jim Elyea is the author of Vox Amplifiers: The JMI Years. He and his wife, Pam, operate History for Hire, a prop-rental firm in Hollywood.